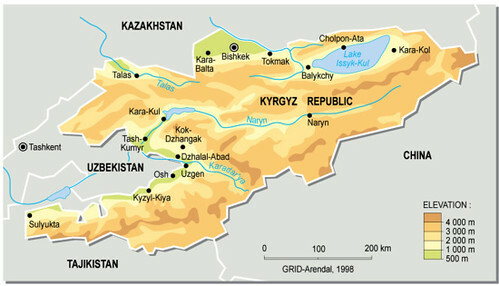 The Kyrgyz Republic (Kyrgyzstan) is located in Central Asia, west of China, comprising of 198,500 sq km. It has a population of 5,146,281 (2005). Major environmental concerns are: water pollution; many people get their water directly from contaminated streams and wells; as a result, water-borne diseases are prevalent; increasing soil salinity from faulty irrigation practices.